James Kroll & Victoria Goldsby, James City County, email. Business partners, James and Victoria, are excited to bring nitro coffee to the Williamsburg Farmers Market. Just 3 ingredients (cold-brew coffee, water, and nitro) all come together to create a rich and creamy artisan beverage. 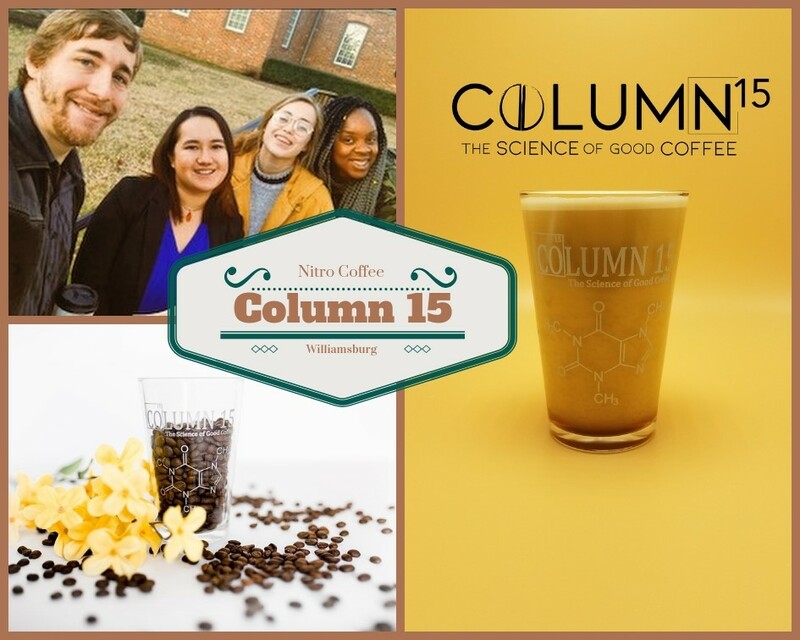 Uncompromising in quality, Column 15’s freshly roasted and fair trade coffee is produced by a locally recognized roaster/brewer, and associated with specialty coffee. It’s straight black coffee, but the smoothest cup of straight black coffee you’ll ever drink!